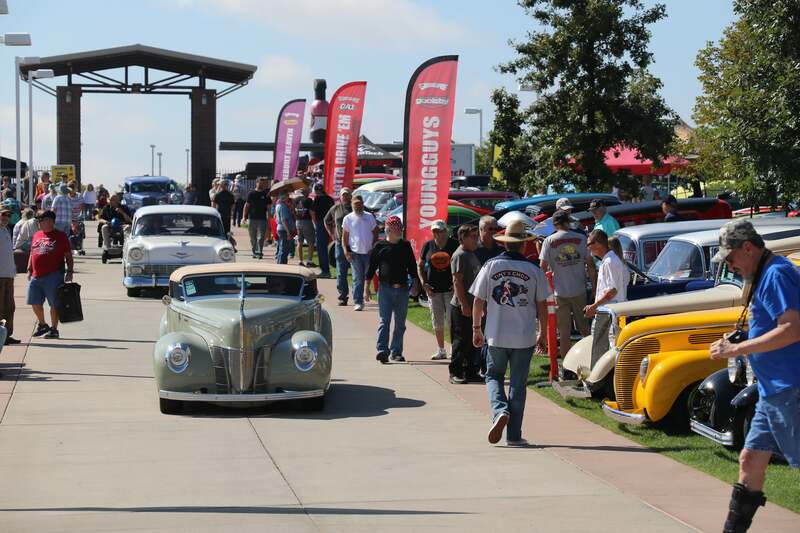 Goodguys heads to the front range for an all-out fall hot roddin’ event at the Goodguys 22nd Colorado Nationals Giant Car Show, September 6-8 at the Ranch Events Complex in Loveland, CO! This high altitude weekend of fun features a huge Show & Shine with over 2,000 1987 & earlier rods, customs, muscle cars, trucks and classics on display, Vendor Exhibits showcasing the latest products and trends, Goodguys “Nitro Thunderfest” Vintage Dragster Exhibition, burn out competition, giant Swap Meet & Cars 4 Sale Corral, Specialty Auto Auction on Saturday, the Goodguys AutoCross timed racing competition, Live Music Entertainment, a Model Car Show, special parking areas on Saturday, a FREE Kids Zone and so much more! And, late model American made, or powered muscle cars, customs and trucks are welcome on September 8th for our Spectre Performance All American Sunday! For complete details and to register your vehicle or purchase tickets, visit www.good-guys.com. Save $5 when you purchase tickets online at www.good-guys.com/cn before September 1, 2019.